This new, full-colour edition of one of RMB’s bestselling hiking guides has been completely updated and redesigned for a whole new generation of hiking enthusiasts. Trekking the Continental Divide from the U.S. border to Kakwa Lake is a demanding adventure. 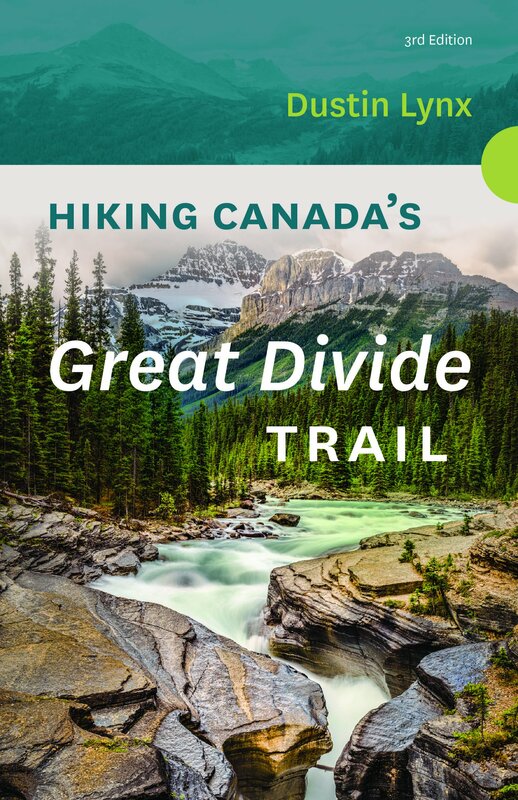 In this new edition of the bestselling guidebook devoted to Canada’s 1,200-kilometre Great Divide Trail (GDT), Dustin Lynx helps hikers piece together the myriad individual routes that form a continuous trail along the Divide. Outlining the six major sections of the GDT, Lynx breaks the trail into shorter, more attainable segments and thoroughly describes the terrain and condition of each. Not only are these trail segments invaluable for planning shorter trips along the GDT, Lynx’s pre-trip planning advice will also prove indispensable for long-distance hikers overcoming such daunting logistical challenges as resupply, navigation and access. Complete with colour photos, detailed maps and updated information, Hiking Canada's Great Divide – 3rd Edition will continue to serve domestic and international hikers alike in navigating this remarkable mountain wilderness trail.